With the 8th console generation’s leap in power, we have already seen some impressive displays of graphical fidelity. InFamous: Second Son immediately comes to mind and the in-game photo mode only proves how incredible it can look. But years down the line, it isn’t a stretch that we’ll be thinking that it was a good try but hardly anything special to whatever big-name game rolls around in 2018. A game’s art direction can make it timeless in a sense. It can be the difference between a great game and an iconic one. There are a lot of compelling reasons to really pursue an engaging art direction, if not an innovative one. For me, a game’s art direction speaks volumes about its intent. Will it be a fantastic journey rife with inventive design and breathtaking scenery? Or will it be something else in pursuit of stunning photo-realism? There’s room for both of these, of course, but without a decent art direction they won’t reach their full potential. For example, look at The Wind Waker. Sure, it did eventually receive a new high-definition coat of paint, but the original still looks totally serviceable and probably will for some time to come. Skyward Sword still looks fine as well but, in my eyes, probably won’t hold up as well as The Wind Waker. Meanwhile, Twilight Princess started showing its age very quickly as, although ambitious, very drab and muddy for the most part. The latter had symptoms endemic to a lot of the last generation’s releases and while it seems less stylistically prevalent now, I still think it’s problematic and representative of the issues gaming has with its popularized representation. 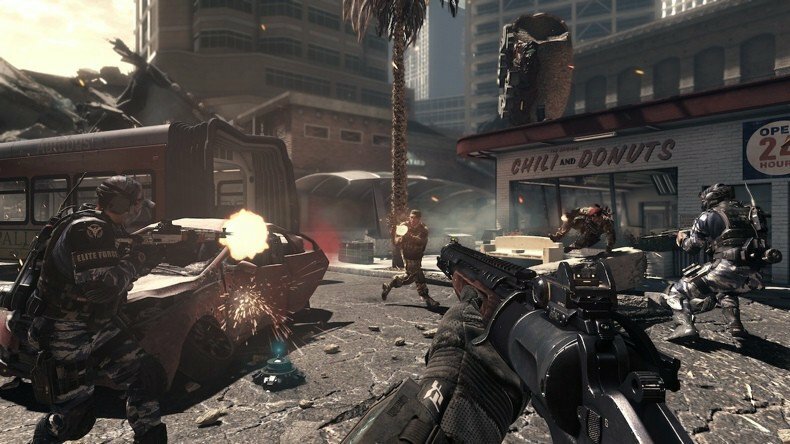 It’s no mystery that Call of Duty is an immensely popular franchise. Coincidentally, it also neatly encapsulates everything wrong with video game art direction due to its notoriously subdued and neutral color palette. This adherence to realism isn’t necessarily a bad thing, but it sort of demonstrates a lack of confidence in video games as a medium. The quickest method of assessing anything is to do so visually so this subdued, ‘gritty’ color scheme subtly suggests that Call of Duty is, in fact, a mature, serious game well-deserving of your attention as a consumer. Its palette attempts to invoke a sense of gravitas but to do this so persistently is evocative of trying too hard. I know that the debate of games being art is both long-held and frankly sort of absurd but every time I see it nobody ever seems to suggest that there is both good and bad art, as if they have to be mutually exclusive when they clearly do not. Accepting all art as good is inherently controversial because it fails to accurately acknowledge an artist’s efforts, while rejecting all art as bad is just petulantly ludicrous. Why are video games exempt from that line of reasoning then? 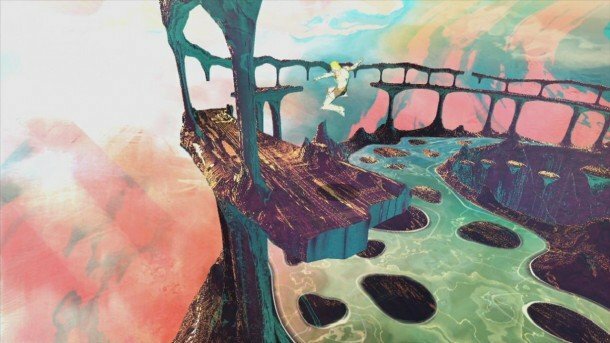 Some video games, like Journey, can be both artistic and a unique, entertaining experience. To be clear, a bad art direction certainly does not mean that the game itself is bad. Whether or not Call of Duty aims to get your intention by suggesting it is serious and deserving of respect is ultimately irrelevant because it sells and it does that very well. What matters most is if the game is fun and if it accomplishes that then there really isn’t anything to be too upset about. The reason that I challenge Call of Duty in particular for this though is that it, admittedly like many video games, is very derivative and even worse it’s derivative of itself. But above all it commits one of the gravest sins I think a video game is capable of—it generally takes itself too seriously. Watch Dogs is similar in this respect because it clearly wants to be perceived as a serious and dramatic tale but when I can use a smartphone to blow up a steam pipe and send the police chasing after me flying through the air, as well as considerable damage to everyone who was unfortunate enough to be nearby, it’s kind of silly. But that’s a good thing. Watch Dogs is at its best when it fully embraces its crazy premise and revels in all of the insane opportunities it brings and far removed from its profoundly dull narrative. Are there exceptions to this? Absolutely. 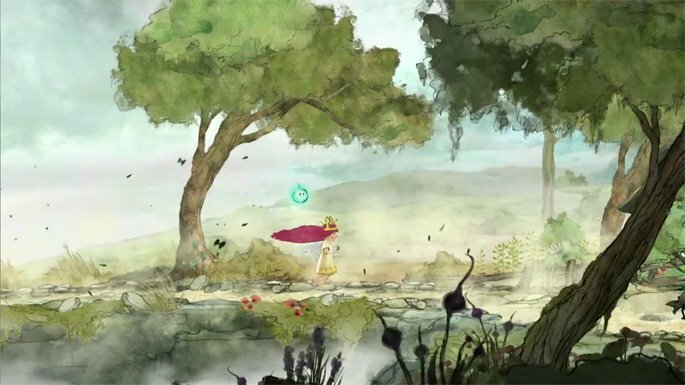 Ignition Tokyo’s El Shaddai: Ascension of the Metatron was an absolutely creative and gorgeous endeavor but as a game it was about as inoffensively bland as it gets. Even then, if you want a more popular example, the art direction of the Uncharted series typically employs a very wide and beautiful palette. You obviously can’t get by on looks or charm alone. There has to be some substance there worth delving into. 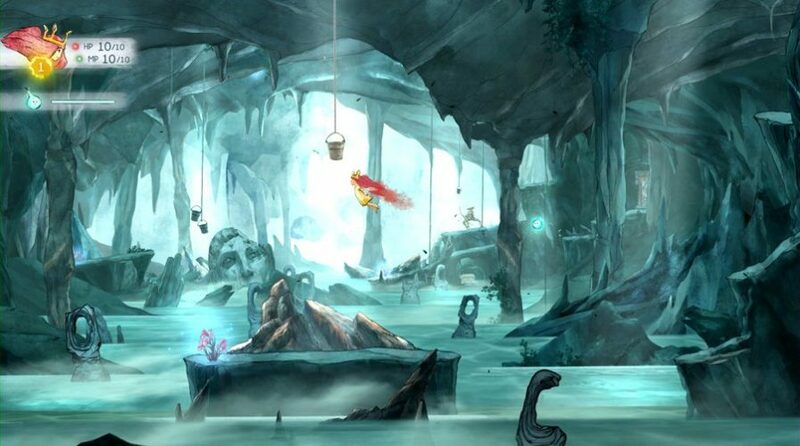 Child of Light, Ubisoft Montreal’s recent crack at a westernized JRPG, is best described as a painting that you can explore and it is marvelously detailed and a joy to behold… but there just isn’t much there beyond that, no matter how solid the gameplay is, due to its brevity. A quality art direction and in-depth gameplay are certainly ideas that have been married before and ideally should always be. Indie games have the liberty to explore this but it shouldn’t be limited to them alone. AAA gaming has done it before and should keep pushing the envelope. I’ve noticed that starkly realistic games always paint the world as aggressively bleak or corrupt. Yes, it might be easy to communicate that things are bad with a dreary, dark, and muted color palette, but it’s also safe and at worst it’s lazy. A world of color does not a happy world make. Could I be extrapolating too much from how a game looks? Possibly. But I think that art can be awe-inspiringly powerful and influential. Video games are a media with vastly untapped potential that combines so many other art forms that could culminate into something groundbreaking. It might just take a creative risk here and there.